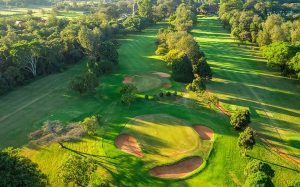 Karen, Nairobi (Kenya) – January 28, 2019 (travelindex.com) – The Kenya Open Golf Tournament, with prize money totalling Euro 1.1 (Ksh 126 million), is now part of the European Tour. Top Golfers from all over the world will play it out at Karen Country Club between 14 and 17 of March for the biggest Prize Kitty in East Africa. Live international TV coverage on all the four tournament days will make the Kenya Open a great promotion for Kenya as a superb Golf Destination. Tobs Kenya Golf Safaris, Travel & Events – since 1991 – has developed a promotion around the Kenya Open to order to improve overseas interest for Kenya as a superb Golf Destination even more. The “Watch and Play” Golf Package offers golfers globally the opportunity to watch the inaugural European Tour Event at Karen Country Club and tee off at Muthaiga, Limuru or Sigona Golf Clubs or play a round at Vet Lab Sports Club before and after the tournament. This attractive package cost around US $1000 per person and includes 5 nights in the new luxurious Trademark Hotel, a season ticket for entry to the tournament on all 4 days, tee times and all transfers. Tobs’ Kenya Open “Watch & Play” Package is promoted globally to all 2750 members of the International Association of Golf Tour Operators (IAGTO), on , on Facebook, as well as through an email campaign to Golfers in Africa. a true quality Golf Destination. Tobs Cohen hopes that the Kenya Tourism Board (KTB) capitalizes on this event and develops a five-year golf marketing plan, including strategy and budget. Kenya should be on the map as a World Class Golf Tourism Destination, as big revenue for Kenya can be generated from the golf tourism market. IAGTO’s membership comprises 2753 accredited golf tour operators, golf resorts, hotels, golf courses, receptive operators, airlines, tourist boards, approved media and business partners in 106 countries including, at its core, 703 specialist golf tour operators in 65 countries. Tobs Kenya Golf Safaris, registered as a company in 1991, is a Specialized Golf Tour Operator organizing Golf Safaris into Kenya, Golf Travel Experiences around the world and luxurious Golf Events. The largest golf event the company has organized in Kenya is the Kenya Golf Trophy.